The Tri-City Fliers' Model Helicopter meet was held as planned, but Mother Nature was not kind. High winds on Saturday kept most of the models on the ground, which slowed the contest quite a bit. Equally unfortunately, that was the only day that I was able to attend the meet, so I don't have much to report. Perhaps I'll get more information from one of the contestants later. 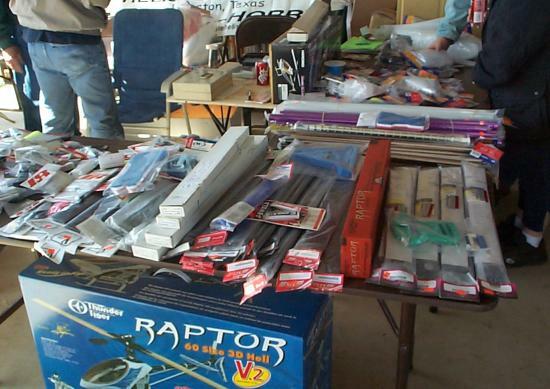 Till then, here are a couple of pictures from the event - the goodies table and a couple of contestant's helicopters.